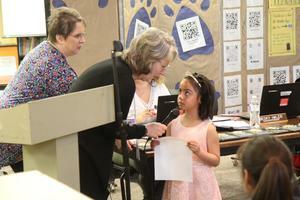 A number of students were recognized at the March 25th School Board meeting for their writing skills. 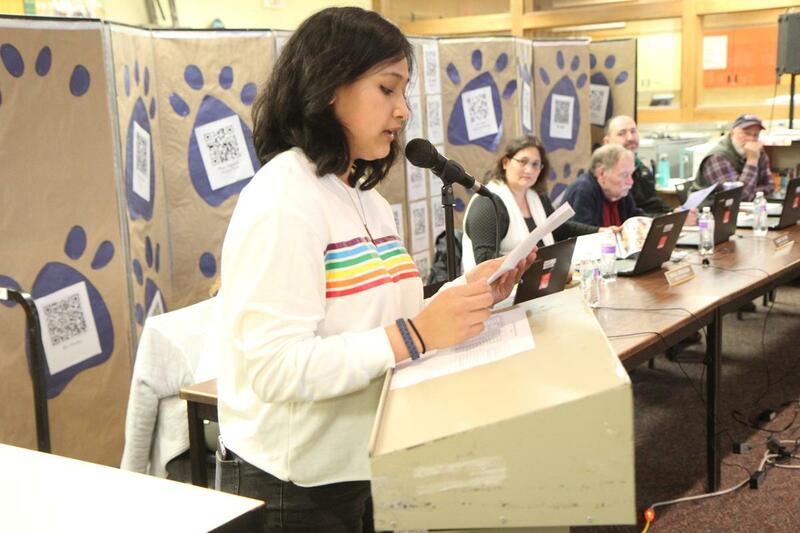 The 14 students celebrated are the winners of the 2019 Superintendent’s Essay Contest. 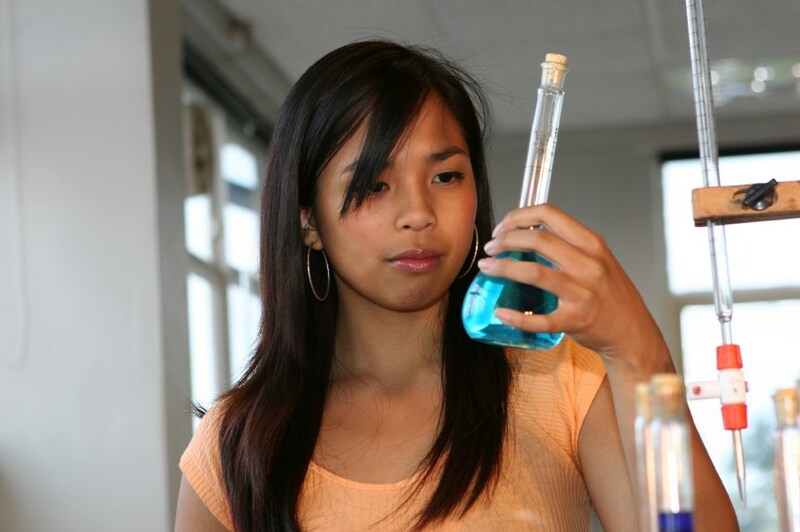 This is the 10th anniversary of the Essay Contest. 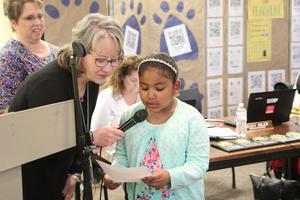 Each year Superintendent Becky Imler invites students from all grade levels to participate as a way to showcase the writing skills they have been learning in school. She received dozens of entries this year and had a hard time narrowing it down to the winning essays. 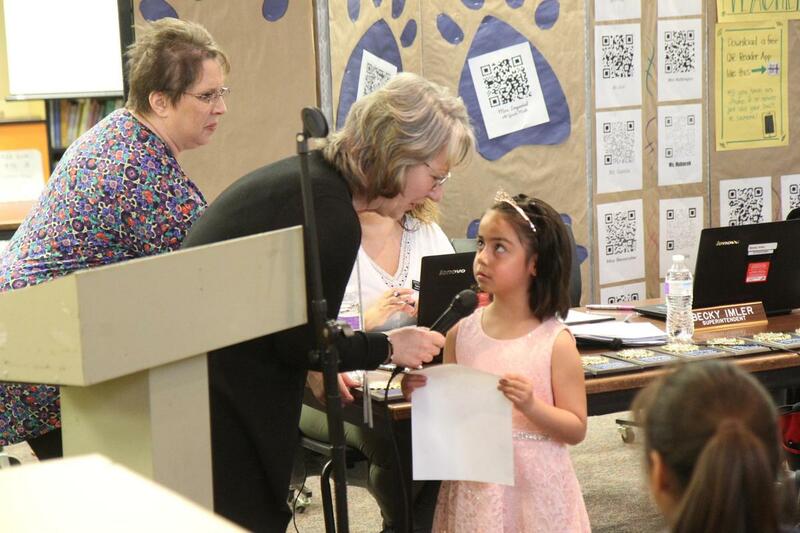 As part of the recognition students who wrote the winning essays received a plaque and had the opportunity to read their essays in front of the School Board, family, friends, teachers and other school district staff at the School Board’s regular meeting on March 25th. Congratulations to all of this year’s winners. 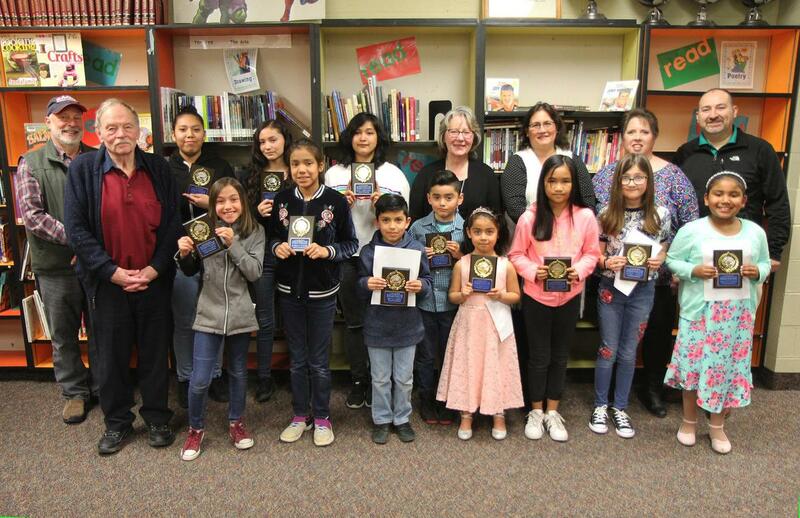 Pictured (Front Row L to R) School Board Vice-President Alan Taylor, Adams 4th Grader Natalie Ochoa, Adams 4th Grader Ramona Canapo, Camas 2nd Grader Estevan Morfin, Simcoe 2nd Grader Jonathan Tellez, Camas Kindergartner Iliana Godoy-Mendez, Satus 4th Grader Jasmin Hidaldo, Satus 5th Grader Haley Murphy, Camas 2nd Grader Serenity Knight. 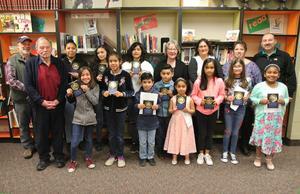 (Back Row L to R) School Board Member John Francisco, PACE High School Senior Jasmin Mayokok, Wapato Middle School 8th Grader Alissa Holt Zack, PACE High School Junior Celia Hernandez, Superintendent Becky Imler, School Board President Maria Erickson, School Board Members Sarah Divina and Javier Vela. (Not pictured: Simcoe 2nd Grader Joseph Wofford, Satus 5th Grader Emily Onessimo and Wapato High School Senior Dayleen Suppah.